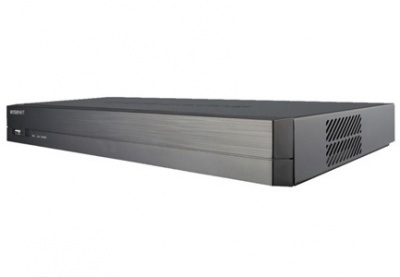 The XRN-810S network video recorder supports 4K UHD resolution and up to 8 channels of video. Additional features include 12MP IP camera recording/display, 8 PoE/PoE+ ports, H.265/H.264/MJPEG streaming, auto-recovery backup, 2 fixed internal SATA HDD (16TB max. ), e-SATA/iSCSI storage, WiseStream compression Technology, dual monitor output, Hallway View support and fisheye dewarping on web and CMS. The XRN-810S is ideal for small size applications that require high resolution recording, and the bandwidth reducing efficiency of H.265 compression and WiseStream technology.